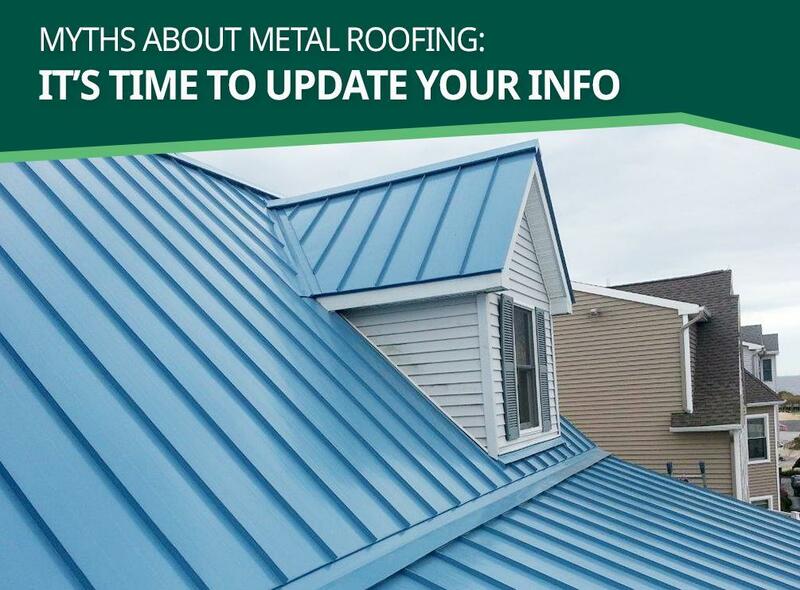 As metal starts growing more popular as a roofing option offered by many roofing companies, the number of myths surrounding the material grows too. It’s not the only roofing option out there, and yes it has a lot of advantages shadowed by wrong information about the material. These myths may make you choose or avoid metal roofing. Peak Roofing Contractors, Inc. wants to help you debunk those myths so you can make an informed decision. Metal Roofing is Loud. When you’re thinking about aluminum roofing or other kinds of metal roofing, it’s easy to come to the conclusion that any amount of rain will give you sleepless nights simply because of the roofing material. The truth, however, is that metal roofs are installed together with a solid sheathing, which is attached to the underlayment. This minimizes the noise and, in fact, makes metal roofing even quieter than asphalt roofing. Metal Roofing Attracts Lightning. Another seemingly obvious concern, this myth should not be the reason to avoid metal for your roofing. Lightning strikes the tallest structure around, which makes your roof safe. Though lightning can indeed strike anywhere, however, if it does strike your roof, the impact will be spread throughout the structure. Metal Roofing Makes the House Warm. The temperature difference is not a big deal, especially if your home is properly insulated. This kind of roof also reflects most of the heat and protects you from extreme weather conditions. Metal Roofing Has No Resale Value. Metal is one of the greatest roofing materials you can ever choose because it is durable and can easily withstand hail, rain, and storm. The material is also recyclable, giving you roofing that helps conserve the environment. Moreover, metal roofing comes in various colors. Our metal shakes are also fireproof. Those add a lot to your home’s resale value. Peak Roofing Contractors, Inc. has been offering metal roofing and other roofing options for several years. Our family-owned company knows the facts and will gladly answer your inquiries if you call us at (703) 745-5153. We serve Manassas and other parts of Northern Virginia.